SpaceX’s new Crew Dragon capsule may be reserved for astronauts traveling to and from the International Space Station — but now you can take a virtual tour of the vehicle’s insides. The company just released interior photos of the spacecraft, as well as a video showing closeups of its control panels and crew seats. The images offer our first glimpse at what the finished Crew Dragon will look like. The photos show an interior that is sleek and smooth, with mostly black and white hardware. It gives off the vibe of a luxury sports car (which makes sense, given CEO Elon Musk also runs a high-end car business). 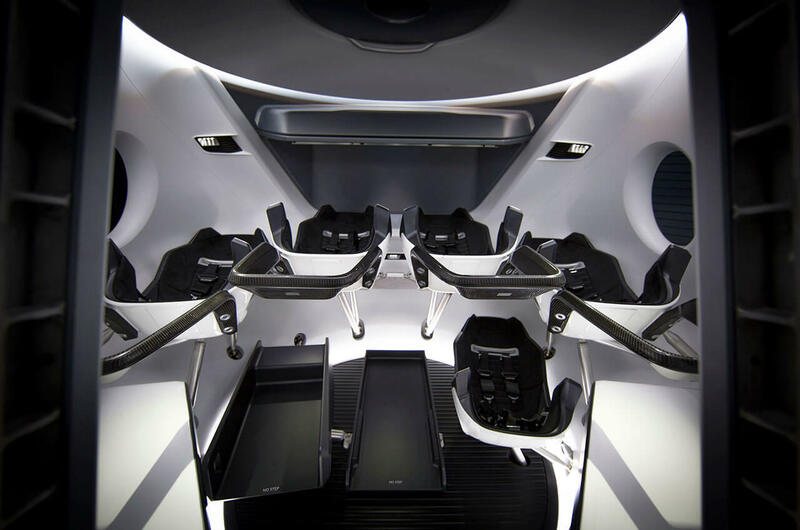 The capsule has seven seats for crew, made of carbon fiber and Alcantara cloth. Video displays in front of the seats will provide information to the astronauts about the vehicle’s position in space and the environment on board. There’s even an environmental control system that astronauts can adjust in case the Crew Dragon’s temperature is too hot or too cold. Of course, any good ride needs a view of what’s going on outside. Four windows embedded in the spacecraft’s walls will allow astronauts to soak in the amazing view during their trip into space. SpaceX is developing the Crew Dragon for NASA as part of the Commercial Crew Program. The space agency awarded both SpaceX and Boeing contracts to manufacture and operate crew vehicles to ferry U.S. astronauts to and from the ISS. The initiative is meant to stimulate the private sector, as well as decrease America’s reliance on Russian rockets for getting into space. Check out more images of the Crew Dragon below.